We are offering a high-end quality of Cellulose Powder to our clients. We formulate this Cellulose Powder under the supervision of our knowledgeable professionals who know the intricacies of chemical reactions and formulations. Our offered product is processed at our well-equipped laboratories, under the supervision of expert professionals. This Cellulose Powder is packed in quality packaging and cartons for safe delivery. Cellulose Powder is a versatile product having applications in and after Welding electrodes, enzyme production. Sigachi Industries Private Limited was established in 1989. 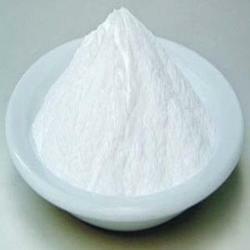 We are Manufacturer, Exporter and Supplier of Micro Crystalline Cellulose, Filter Aid Cellulose, Hydrochloric Acid, Chlorinated Paraffin Oil etc. Sigachi is a professionally managed company with a team of technocrats, well qualified and richly experienced in the field of Pharmacy Excipients, Cellulose Based Filter Coatings, Plasticizers and Chlorinated Synthetic Resins. Sigachi was incorporated in the year 1989 to produce Chlorinated Paraffin & Hydrochloric Acid and then added another product Micro crystalline Cellulose in the year 1995. Sigachi is strengthening its business periodically by rapid expansion with an optimistic vision towards new business goals. Sigachi has got ISO 9002 Certification in 1996 and then received four Prestigious National/State awards for its Outstanding Performance and Quality. Sigachi has received Innovation Award for MSME 2011. This award is constituted and supported by National Science and Technology Development Board (NETEBD), Department of Science and Technology. Sigachi has established itself as a quality conscious and dependable supplier in India and across Asia, Australia, American Continent, Europe and Middle East. The Leadership in the industry is cemented by the fact that in the last three years, Sigachi has more than tripled its manufacturing capacity of Cellulose based products. To meet the growing demands from Customers Sigachi started a new plant in Jhagadia, Gujarat exclusively for manufacture of Filter Aid Cellulose. Another state of art facility with sophisticated technology as per USFDA norms has commenced operations at Special Economic Zone Dahej, Gujarat. This plant is a 100% Export Oriented Unit catering to Customers all over the globe.